As well as building exquisite collections for private clients, it is also a joy to work with museums and foundations, including the Chippendale Society and the Chipstone Foundation. The most significant of all, and a personal career highpoint, is the wonderful ongoing relationship with George Washington’s Mount Vernon. 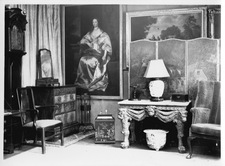 Interior projects are often a marvelous opportunity to allow our fascinating past to inform the future. One client was so enthralled by their travels in the East, that I am subtly evoking the atmosphere of the Orient in their charming English country house. Coming full circle, another current commission is for a collection of furniture in contemporary materials, inspired by the timeless quality of early 18th century design. 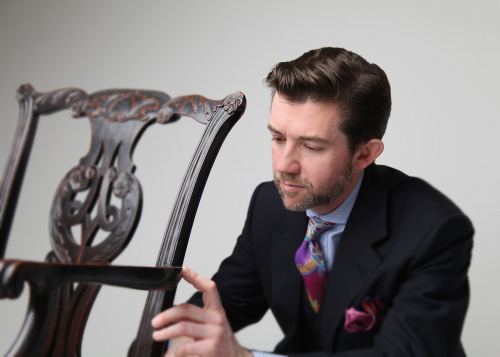 Solomon Bly specialise in fine and rare furniture from 1660 to 1760 and bespoke interior design. A family business nearly 100 years ago.